Under Women@work, vulnerbale women are trained for non-traditional trades such as electrician, mobile repairing and petrol pump service for acquiring a meaningful employment or start their own micro-enterprise. The programme was started in June 2015, has trained 72 women and 92 are undergoing training right now. 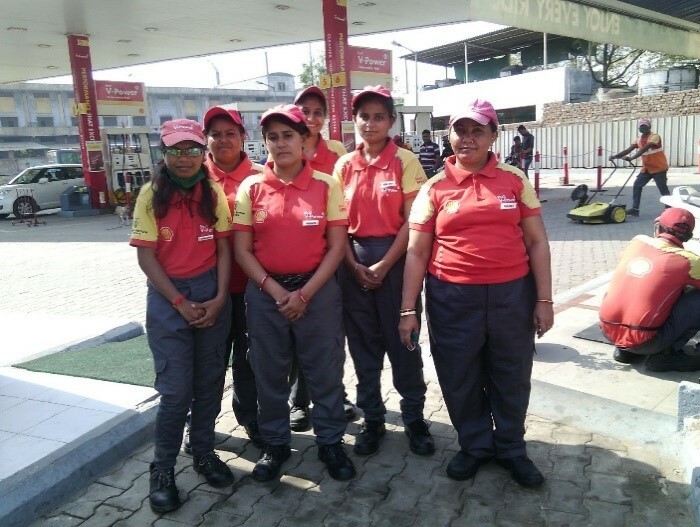 Recently Women@work, successfully placed 18 women trainees at a Petrol Pump in Ahmedabad. 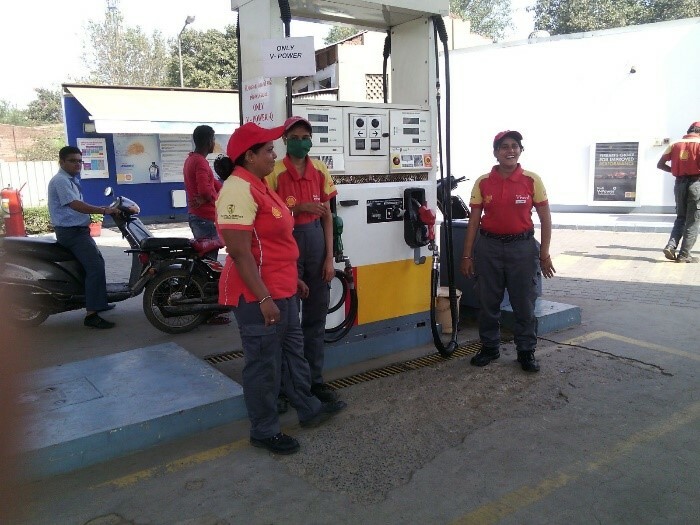 The welcome gesture of this MNC petrol giant, has grabbed the attention of the passers-by at the petrol pump. One of them is Neema Ben (Name has been changed), who has been hired, despite the fact that her husband is suffering from HIV AIDs. Her husband lost his job and she is the sole bread earner now taking care of the entire family. She will be getting a salary of Rs. 8,500/- which will help her sustain her family needs, especially when the family is going through tough times. The program has been successful to bring change in the mind-set of some, as we see in this case the recruiters have thought beyond conventional norms and stereotypes for promoting work place equity and the right to work irrespective of gender and health issues. Neema Ben defies societal baises to work for sustaining her family! This entry was posted in Community Channel, Daily Dose of Saath, News, Work Memoirs and tagged Ahmedbaad, SAATH, Women, Women Empowerment, Women Petrol Pump, Women@Work. Bookmark the permalink. Above article is really helpful for women empowerment .Thanks for sharing valuable thought.